I received my first diary when I was six or seven years old and recently rediscovered it in a box of childhood memories. 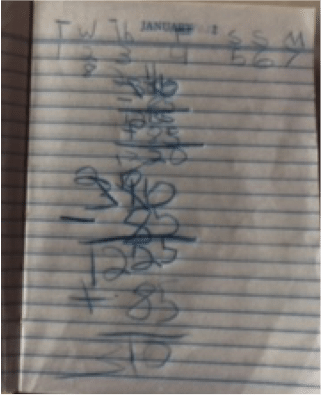 Imagine my surprise when I opened the decades-old journal to find that my first, and most frequent, entry was arithmetic. I had created a series of two and three-digit numbers that I then added or subtracted following a traditional column algorithm of carrying or borrowing. “What little understanding this demonstrates,” I thought as I reflected on what it means to be able to reason with those two and three-digit numbers. 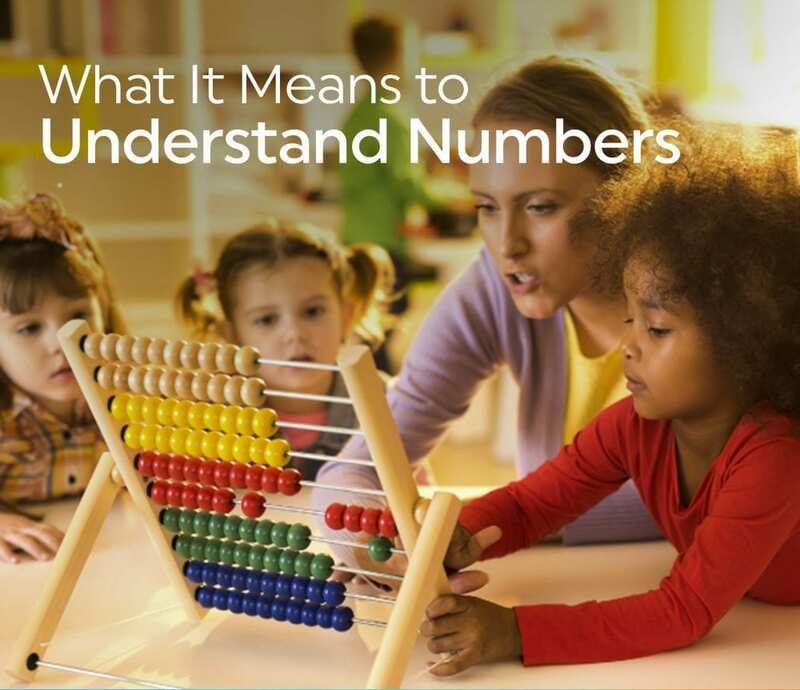 It was not until much later in my own education that I recall wrapping my head around numbers, how they are composed and decomposed, and how the procedures I had followed by rote connected to any sense-making of my own. I had the unique opportunity to teach Math Intervention at the middle school level, in classes of mixed 6th, 7th, and 8th graders, each of whom were two or more grade levels behind in math. My first thought when I was assigned this structure of class was, “How can I help an 8th grader with 8th grade mathematics while also helping a 6th grader with 6th grade mathematics?” Well, as I soon learned, the vast majority of struggles my students encountered with their grade-level mathematics were rooted in misunderstandings about numbers, our number system, how operations work, and many other foundational concepts. When I targeted instruction and crafted learning opportunities intended to fill in those conceptual holes, I found that the struggles with grade-level math practically addressed themselves. My goal in facilitating high levels of math learning for students continues to be one that balances computation, problem solving, and number sense. With that focus, student commentary shifted from, “I forgot the next step” to “I know I can break down these numbers and work with them.” That’s when I knew we were making progress with understanding math, not just doing math. When our hearts or any internal system isn’t functioning properly we often see symptoms in our health. Doctors treating symptoms only find themselves repeatedly addressing the same issues and never helping patients achieve true wellness. However, when doctors or specialists understand the connection between those internal systems and symptoms we often see patients return to wellness, indeed they begin to thrive. So too is it the case with struggling learners. The most effective instruction, or path to “wellness,” is instruction designed to identify and target the source of the confusion (e.g., teaching number concepts), not to simply treat the symptoms (e.g., more practice with an algorithm). 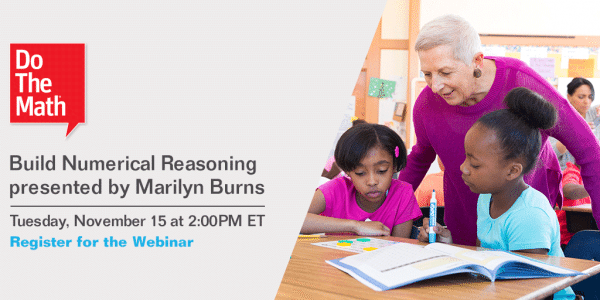 Hear Marilyn Burns, creator of Do The Math, talk about lessons she’s learned from her classroom teaching experiences. 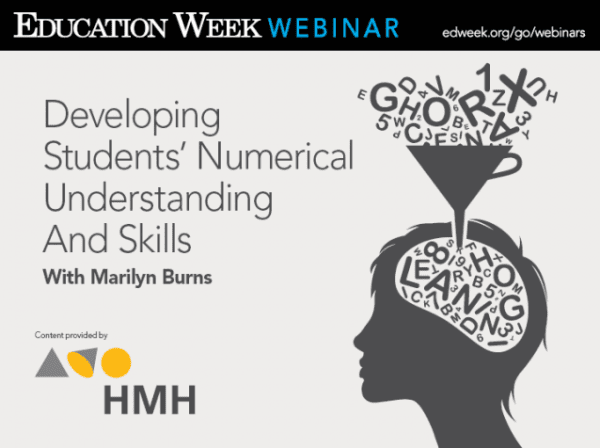 During this EdWeek webinar (registration link below) Marilyn will address building a teaching bridge between math and reading, learning from one-on-one math interviews, and implementing effective instructional strategies. Marilyn Burns, founder of Math Solutions, is a nationally recognized author and thought leader on teaching mathematics. Don’t miss this opportunity to hear directly from the source! Time: 2:00 pm Eastern Standard Time. UPDATE: You can now view Marilyn’s webinar here. Jennifer Lenhardt designs and provides 6-12 professional development for teachers nationwide. She is passionate about supporting students who struggle in math by creating and facilitating instruction that targets the source of student confusion.